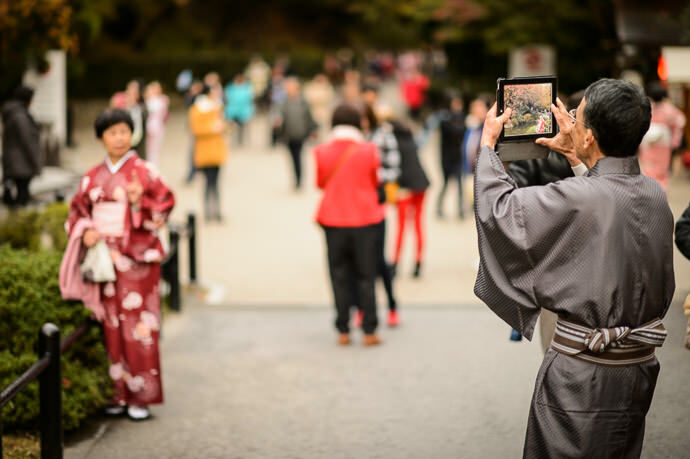 «« previous: Why Does Photography with an iPad Look so Silly? 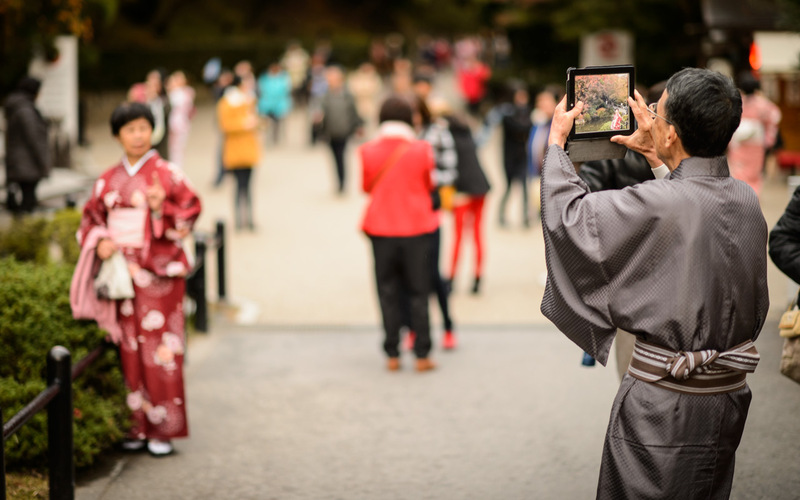 Given yesterday's post about how iPad photography looks silly (not is silly, mind you, but looks silly, to me), when I was out and about in Kyoto today with a friend visiting from The States, seeing someone taking pictures with an iPad caught my attention more than average. 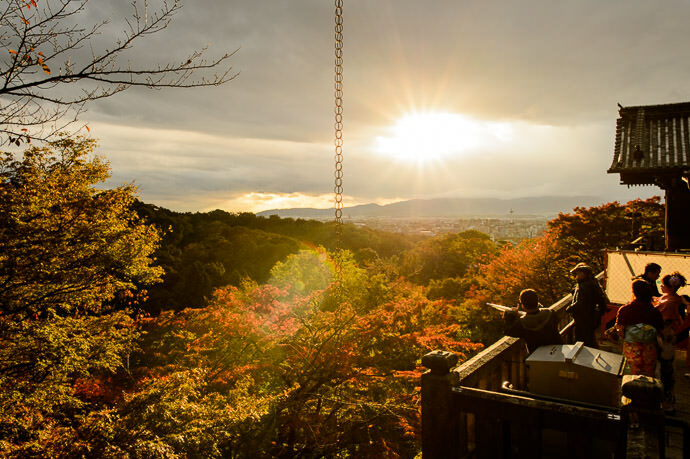 The scene above, at the Kiyomizu Temple (清水寺) not long before sunset, really warmed my heart. I loved the juxtaposition of old and new... traditional and revolutionary... young and old (and young at heart)... all wrapped in the aura of understated but undeniable class and style. I was tickled pink just to witness it as I was quickly passing by on the way home. Pausing to Read my Blog? 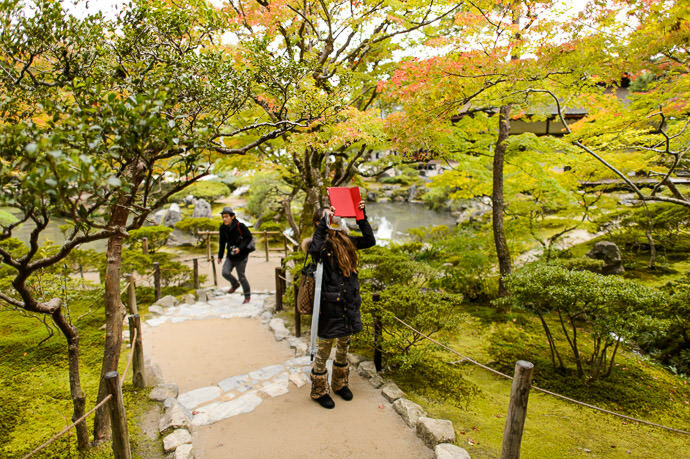 November 11th, 2013 Why Does Photography with an iPad Look so Silly? That first shot is awesome. Could go straight into an Apple marketing campaign.